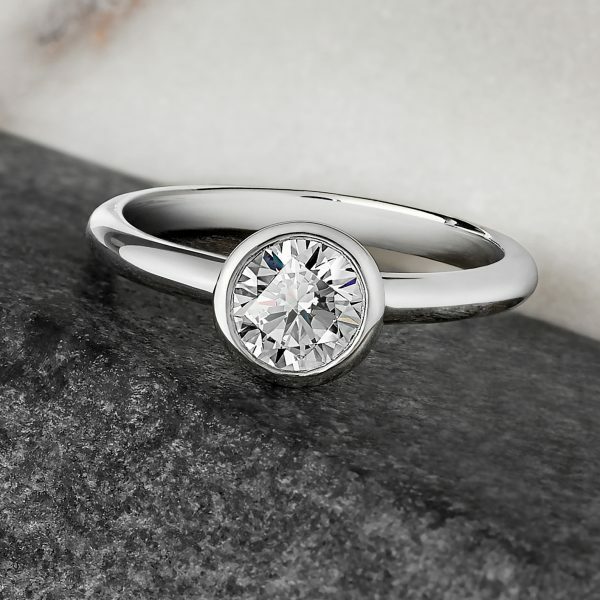 Selecting your diamond is not just about the clarity, but it’s a great place to start. When diamonds are formed deep in the earth, they develop natural birthmarks on their surface and internally – slight irregularities and features that are visible to a skilled grader under 10x magnification. These are collectively known as “clarity characteristics” or “inclusions”. Depending on the size, quantity, placement, tone or colour of these clarity characteristics, they may or may not be visible to the naked eye. This is one of the reasons why a truly flawless diamond is so rare–in fact, less than 1% of all diamonds are graded as flawless. 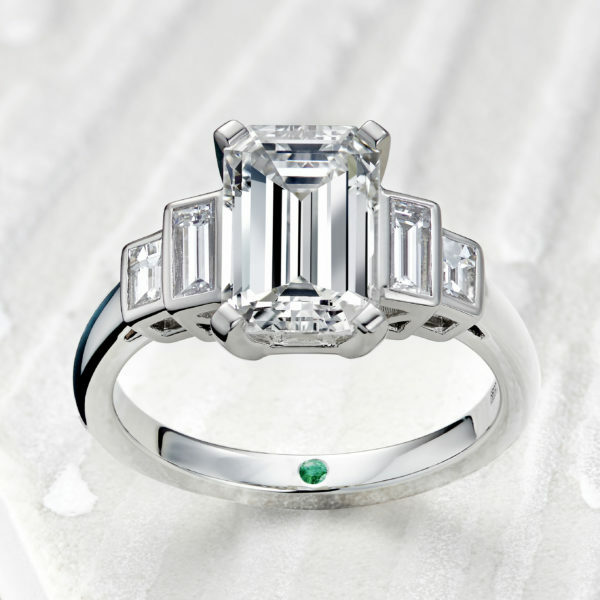 That doesn’t mean you can’t find a diamond that’s nearly flawless. To ensure the brilliance and fire that makes diamonds so enchanting, we recommend “SI1” clarity grades or higher. The grading scale begins with Flawless, Internally Flawless (FL/IF), Very Very Slightly Included (VVS1/VVS2), Very Slightly Included (VS1/VS2), Slightly Included (SI1/SI2) and finishing with Included (I1, I2 & I3). 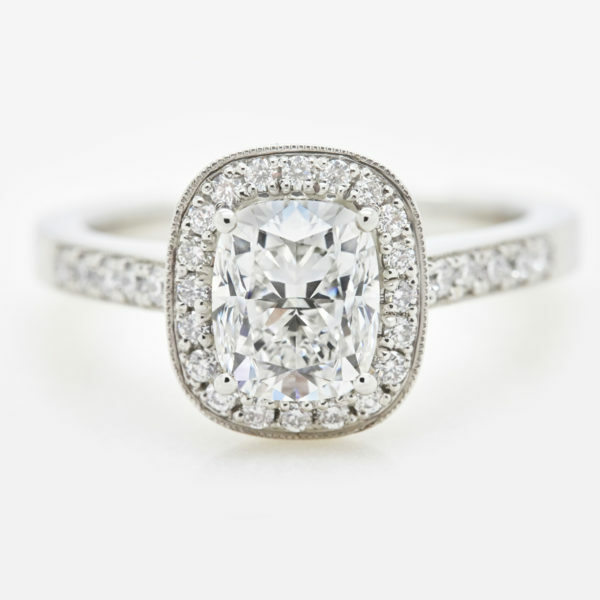 What diamond clarity is considered the best? 99% of diamonds are imperfect–and most diamond experts value these clarity characteristics or inclusions as marks of character, adding to each diamond’s uniqueness. Technically, an internally flawless diamond is the rarest and considered the highest clarity grade. However, clarity is totally down to personal preference. Clarity is one of the most fundamental features to consider when choosing a diamond. That’s why our diamond buyer personally inspects every single diamond to ensure there aren’t any visible clarity characteristics to the naked eye. We recommend SI1 clarity grades and above for an eye-clean appearance. So what clarity should I choose for my diamond? If you’re a stickler for perfection, we would recommend choosing a VVS2 clarity grade or higher. If you’re more focused on the diamond’s size and price, SI1 and above is a great option, that appears clean to the naked eye. VS clarity grade diamonds offer the best value. They cost less than flawless diamonds, but still appear totally eye-clean, with great light performance and bright sparkle. What diamond clarity is most popular? 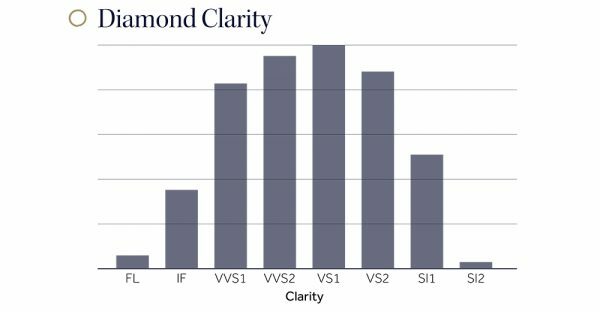 The most popular diamond clarity grade we see amongst our customers is VS1, closely followed by VVS2. These diamond clarity grades offer the greatest value, because they cost less than the rare grades like flawless and internally flawless, but still offer an eye-clean appearance.